Add a splash of the most rad colour of the palette and live your life on the 'Red Carpet'! The color of love, seduction and power, decorating with ‘Red’ takes confidence and while it makes for a bold statement, it is also a warm and easy to live with colour. The traditional and auspicious bearings of the colour ‘Red’, in the east is what makes it in vogue for the upcoming Indian festivities and here is how ‘Gulmohar Lane’ can help you choose the Reds best suited for your personality! 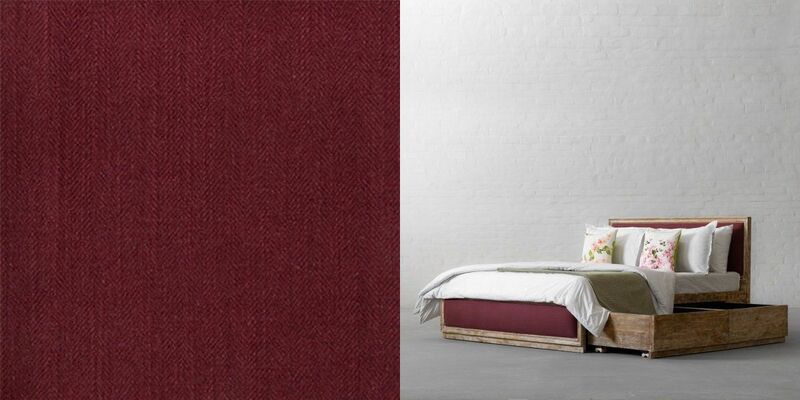 Unfold drama in your everyday lives and your everyday spaces with our Linen Cotton Cherry upholstery fabric, a colour that will illuminate your spaces while keeping the energies flowing, the vibes refreshing and the magic alive. 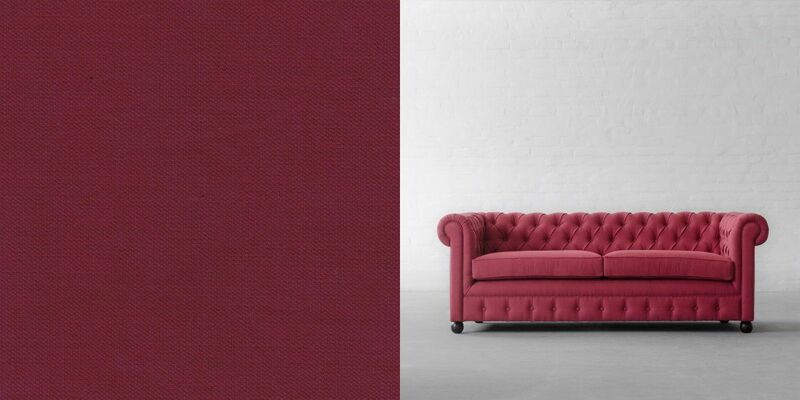 This playful red hue is perfect for a young couple or a bachelor pad looking to create something bold and eye catching! Just like the namesake drink, Gir Merlot can evoke elegance, relaxation and a whole lot of classy vibes to your abode, this festive season! Staying away from the primary red, Merlot’s deep and rich hue will make for a perfect backdrop to either add dazzling golden touches or the calming whites. Stir up some excitement, raise those energy levels and stimulate conversations with our Royal Samode Pomegranate Velvet! 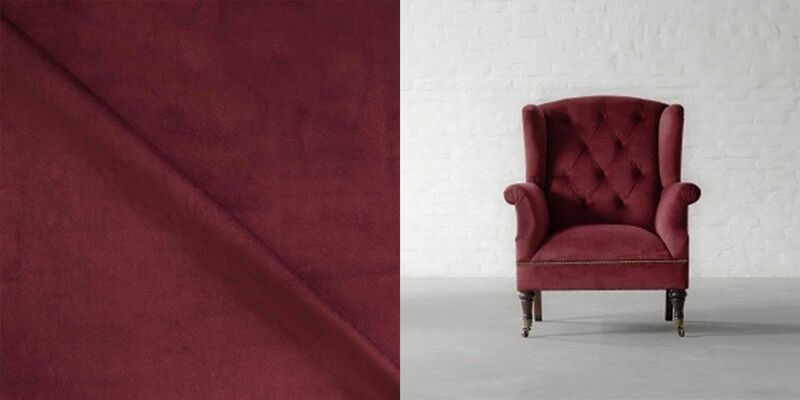 Luxurious and Opulent, this hue in velvet is all about creating a decadent space that is both refined and lush with a touch of cozy, ideal for the winter festivities and aura. Just like your festive outfits, your home too needs an eclectic and moody touch for the festival of lights and our Tropical Corn Yards Printed Fabric & Wallpaper got you covered. While the printed upholstery will add some serious celebratory vibes to the heart of your home, the printed wallpaper is sure to create a boho-chic space. The warmth of these printed designs in Red is what will steal your heart! 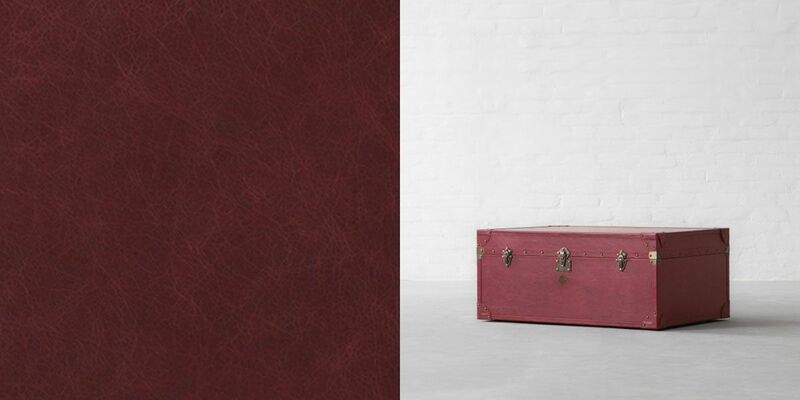 Lift your home décor with the aristocratic feel of our Vintage Scrunched Berry Red Leather and create a sparkling aura. The warmth of leather and the boldness of the berry red is just the perfect amalgamation you need to add character and understated elegance to your abode. 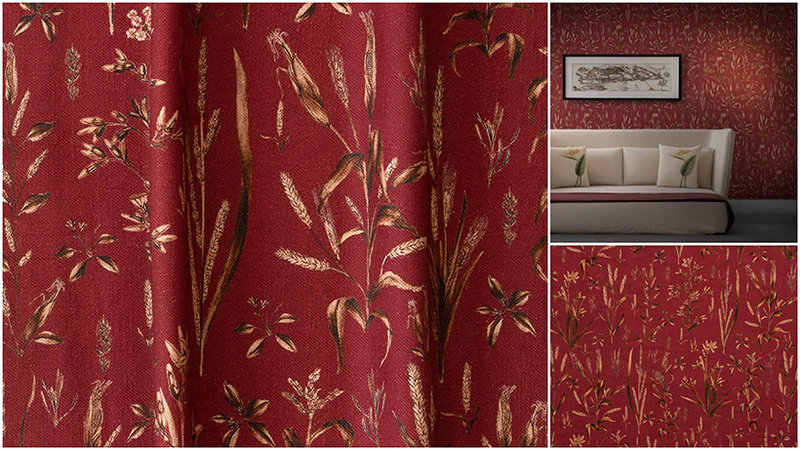 Every home, be it contemporary or modern, bohemian or minimal, bold or subtle; can dazzle up with the charm of ‘Red’.